HÁT ILYEN NINCS! 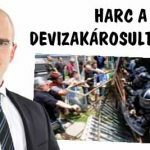 A BANK MÉG A HÁBORÚBAN SEM NYUGSZIK! EZT LÁTNOD KELL!